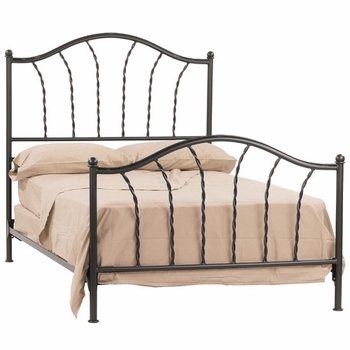 Every wrought iron bed we carry is hand crafted, one-at-a-time, by gifted blacksmiths and tradesmen. Each and every piece is unique in some special way and carries the markings of the artisan who crafted it. All of our wrought iron beds feature a wonderful selection of hand-applied finishes that allow you to add your unique mark as well. The bed is the focus of any bedroom let us help you create a one-of-a-kind treasure guaranteed to steal the focus of yours. 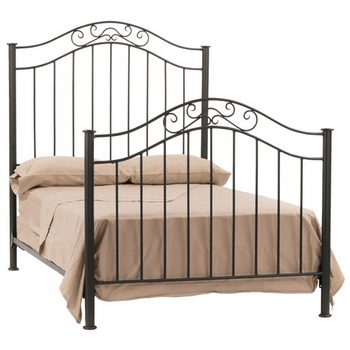 Hand forged wrought iron beds are the embodiment of elegance, craftsmanship and comfort. Built to last a lifetime, the enduring quality ensures that cherished memories are made with your family from the very first snuggle through generations to come. When was the last time you thought of a bed as a legacy? 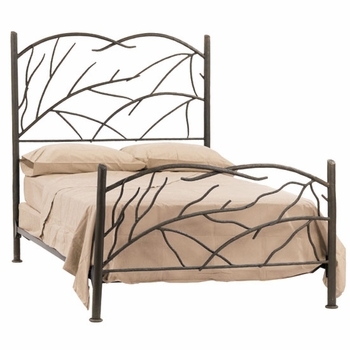 Wrought iron lends itself to the numerous bed styles from modern to classic, to contemporary, rustic - even farmhouse so you're sure to find something that fits your style and needs. Most of our iron beds are available in standard sizes including; Twin, Full, Queen, and King and some are even available in California King. 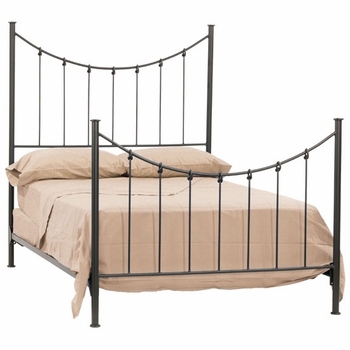 Don't know which iron bed you want? 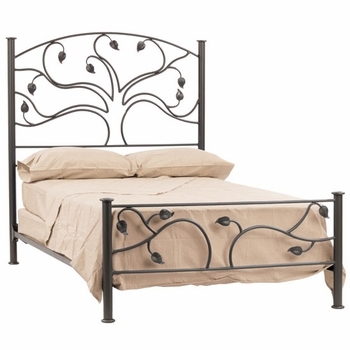 Iron Accents has a lot to choose from when it comes to our iron bed selection. 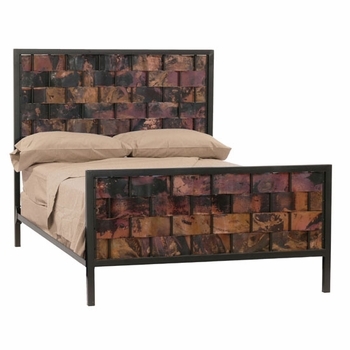 For instance our Forest Hill and Loft Iron Beds are handcrafted with an industrial flair. 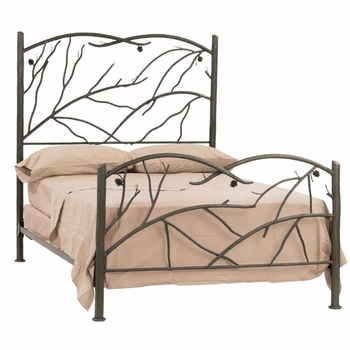 The Eden isle and Live Oak Iron Beds have multiple leaf forgings giving them a nature inspired feel. 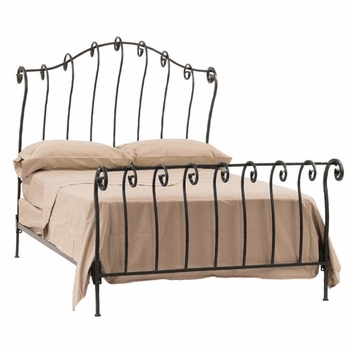 Our French Country iron bed goes perfect with - well French Country and we love the Knot and Prescott wrought iron beds for simpler farmhouse styling. Looking for something a bit more masculine? Take a look at the Florida and Mission Iron beds. 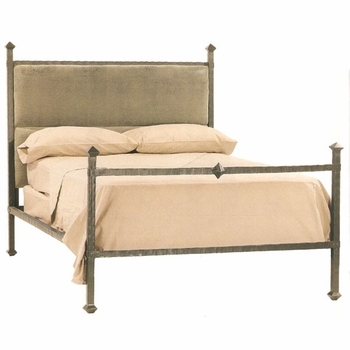 No matter what you are looking for in an iron bed, Iron Accents has the answer. 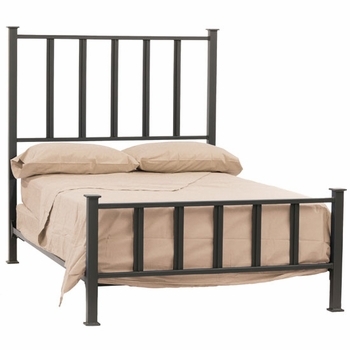 Iron platform beds are simple in form and since a platform bed sits lower to the ground than other types of beds, it can be a great way to make a small bedroom feel larger. Four poster beds first appeared in the Middle-Ages and still remain a popular choice. Poster beds - characterized by four posts at each corner - draw the eye into the center of the room and create a dramatic statement. The canopy bed adds a touch of elegance and a sense of old world charm to a bedroom with the dramatic appearance of the tall posts combined with decorative iron flourishes. 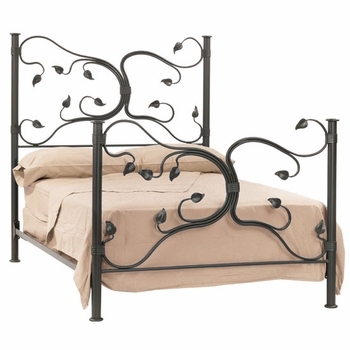 Iron sleigh beds with their elegant, curving lines add a distinctive, romantic feel. They are the natural focal point of the room - eye-catching, yet at the same time softly romantic. A solid frame and sturdy build is important for families that consider their furniture an asset. 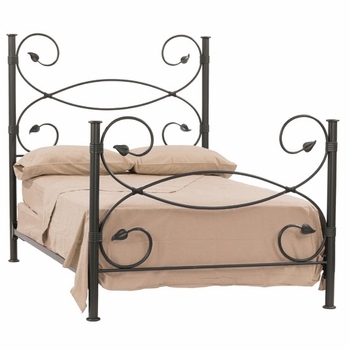 That is why Iron Accents offers its iron beds with only the best craftsmanship and style. Wrought iron is extremely durable and with very little maintenance will last you for the many years to come. 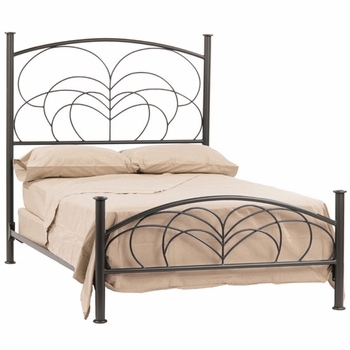 Wrought iron beds are simple to care for. We recommend occasional wiping down with a damp cloth - go easy on wax or abrasive cleaners as they can damage most types of metal finishes. 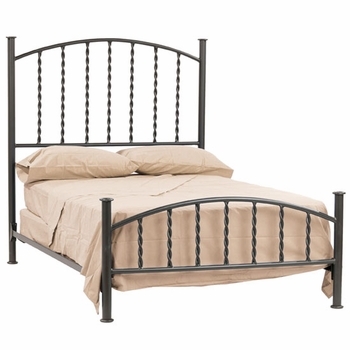 Solvents such as nail polish remover and paint thinner can also ruin the finish of your wrought iron bed. 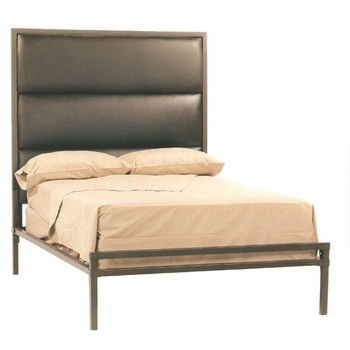 Our iron beds are available as headboards only, or as complete bed sets; each complete bed includes the Headboard, Foot board, Bed Frame, and in some cases a Canopy. 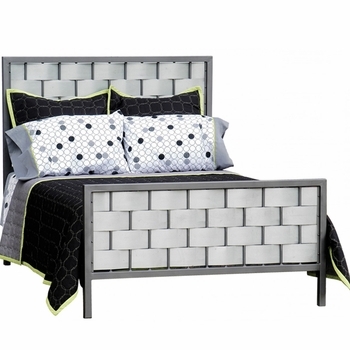 All Iron Accents beds use standard size mattresses.